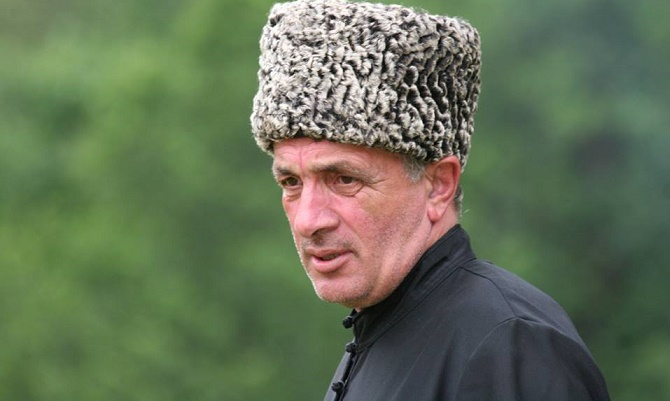 Circassian activist Ruslan Gvashev has stopped his hunger strike at a request voiced by participants in a rally in his support. More than 200 people came to the action in front of the court building in Krasnodar. "At a spontaneous rally in Krasnodar, Ruslan Gvashev used a loudspeaker to announce he stopped his hunger strike," states a message which came to the "Caucasian Knot" SMS-service. "The hunger strike is stopped, but the fight is not stopped ... Participants of the rally came to the reasonable conclusion that persecutors are trying to kill Ruslan. 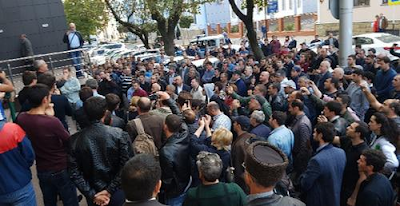 Thus, the protesters requested the elder to continue fighting for our rights, but stop his hunger strike and gain strength by October 16," activist Temirlan Zhilov wrote in his Facebook. Starting from September 11, 67-year-old Ruslan Gvashev, the former head of the Circassian Shapsug Council of Elders, held the hunger strike to protest against the fine for praying at the Tulip Tree. The consideration of the Ruslan Gvashev's appeal was postponed to October 16.